Iraqi officials, struggling to form a new government months after May parliamentary elections, now have an even more pressing concern: persuading the Trump administration to waive sanctions that could deprive Iraq of 40% of its electricity. Due to go into effect November 5, the sanctions will exclude from the U.S. market foreign companies that buy Iranian oil, natural gas and petrochemicals. Bound by a “take-or-pay” contract with Iran, Iraq must pay $3 million a year for Iranian natural gas regardless of whether it's received. Why it matters: For Iraq, which did $12 billion in trade with Iran last year, the impact would be particularly dire. In addition to losing natural gas supplies that account for 6,000 megawatts of electricity, Iraq could face potentially huge penalties if its neighbor takes it to arbitration for violating this contract. 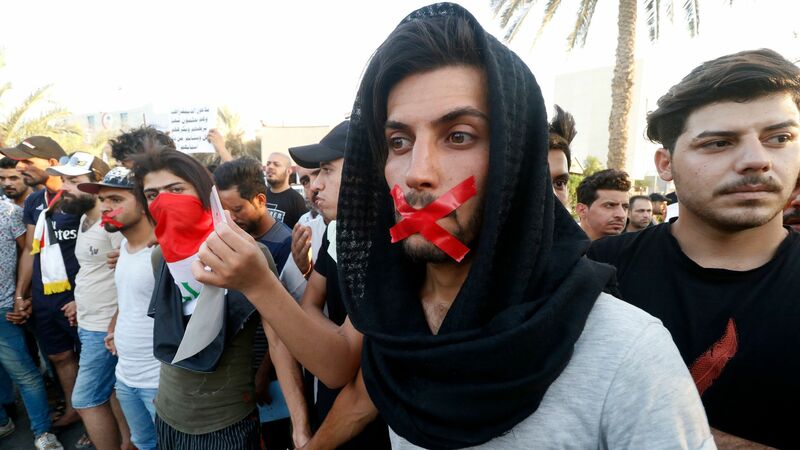 Just a month ago, the second-largest city in Iraq, Basra, exploded in riots in part because of electrical blackouts. Just imagine how much violence and disruption could occur if those blackouts were nationwide. In addition to a natural gas waiver, Iraq is seeking an exemption to continue importing spare auto parts for the operators of 70,000 Iranian-produced taxis, as well as for ordinary drivers who own an additional 200,000 cars of Iranian origin. Meanwhile, Baghdad wants to preserve the lucrative religious tourism that brought more than 2.5 million Iranians to the pilgrimage cities of Najaf and Karbala last year, an industry that could also be threatened by the sanctions. Last but not least, Iraq would need to find a way to carry out financial transactions with Iran that bypass the U.S. dollar and other Western currencies. It remains uncertain whether the Trump administration will grant Iraq waivers to shore up the stability of a country that has seen precious little for decades, and which has just beaten back a devastatingly destructive Islamic State insurgency. What to watch: Trump's decision might rest on whether Iraq chooses a prime minister acceptable to Washington — such as the current one, Haider al-Abadi — or someone who is considered too close to Tehran. If the former, the Trump administration might be willing to give Iraq more time to wind down its business with Iran and acquire the infrastructure needed to use its own natural gas for electricity.